A brand born under the influence of alcohol, initially as a gag gift, took on a life of it’s own and has enjoyed tremendous success. 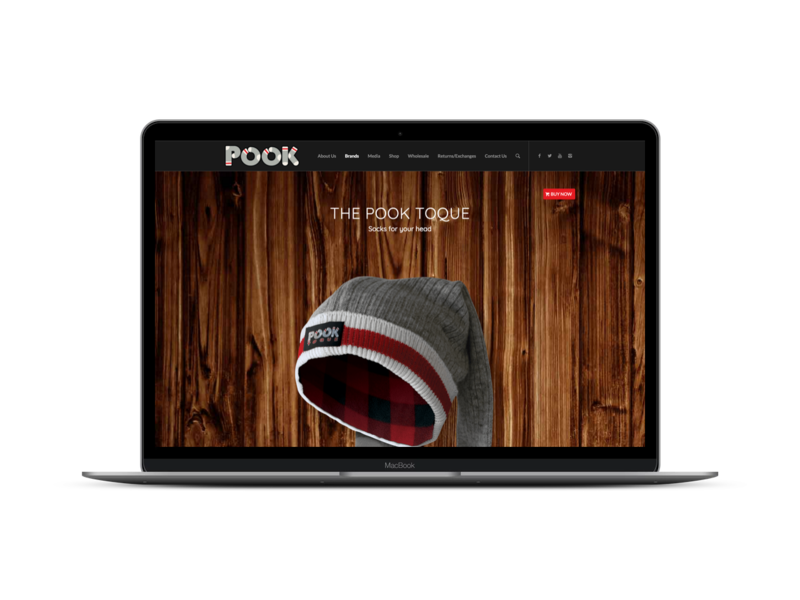 Leading up to an encore appearance on CBC’s Dragon’s Den, the boys at Pook recognized the need for the business to put on big boy pants. Their existing set-up worked, they were making money! 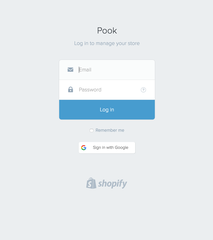 But recognizing inefficiencies in their online store and fulfillment process it was obvious that they were poised to get to the next level with some tweaks. What started as a call for a simple site redesign evolved to a full blown business overhaul, resulting in record sales & profits. With a need to highlight the uniqueness and many product features, multiple colour ways available and address several new items under development, we took the time to develop 360 renderings which allowed us the freedom to change views on the fly and quickly mock-up new product for the site. 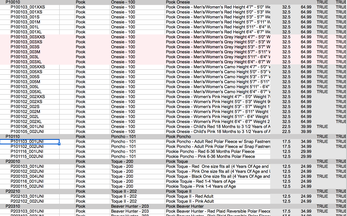 The previous website was lacking in product info. 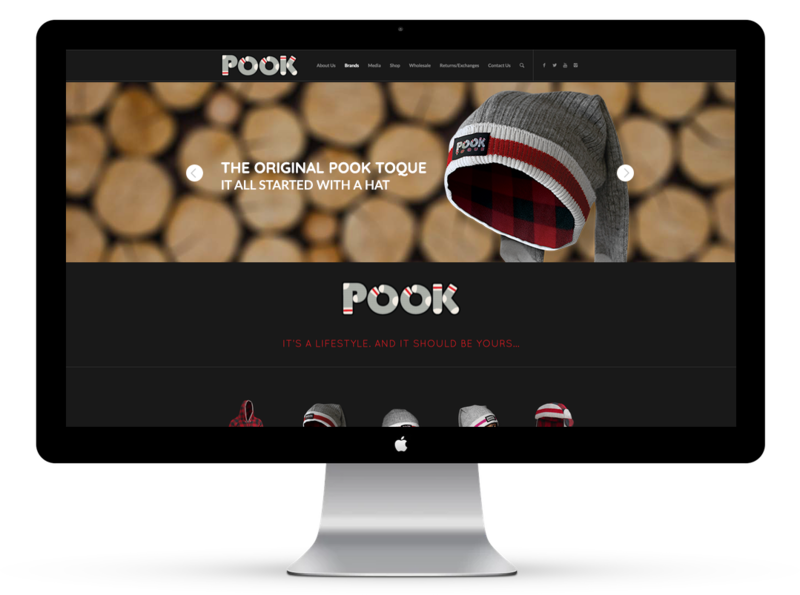 The newly designed site includes product pages that allow Pook to showcase all the items available, key product info, their quirky and hilarious messaging, and of course allow the user to purchase right from the page. Not surprising much of the feedback from the old site was it’s difficulty when being viewed on a mobile device. 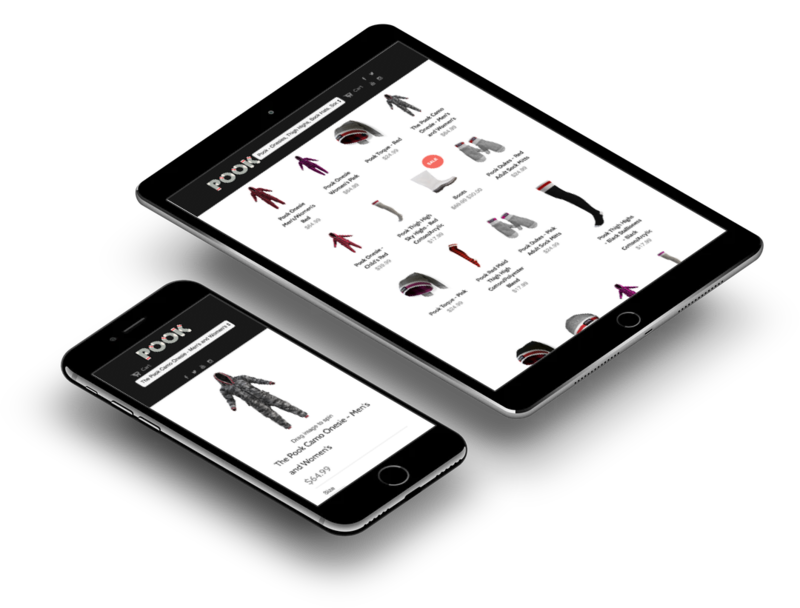 We redesigned the update with a responsive layout in mind so it’s always ready to go, no matter the device. 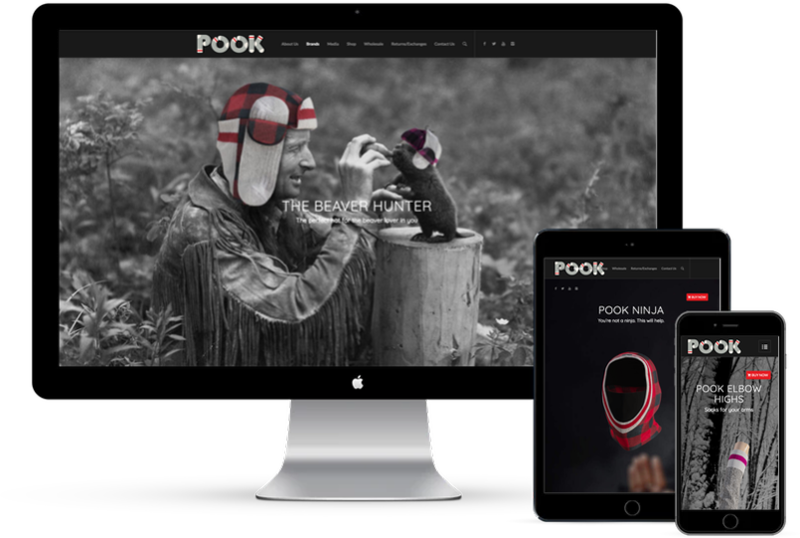 The real focus of the project was an improvement on the user experience in the shopping process. Anticipating a spike in traffic from a segment on CBC’s Dragon’s Den, we knew that a stable commerce environment, optimized path to purchase, and ease of check-out were necessary to drive conversion and maximize the spike in user traffic. We introduced a complete overhaul on the operations back end. 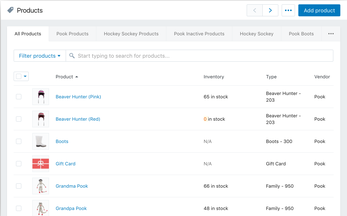 A sku naming hierarchy for 270+ skus, an inventory management process, optimized fulfilment atomization, store analytics and a custom wholesale commerce cart to name a few.